Specifically formulated to seal shaft from unwanted dirt and moisture. Helps keep shaft smooth and cleaner longer. Helps fade the undesirable maple grain. The S4 Shaft Sealer by Tiger Products will seal smooth and protect your cue against moisture. Helps keep the shaft clean longer and fades the undesired maple grain. It is simple to use just simply apply the S4 shaft sealer to a cloth and smear on the shaft while turning it then sand and repeat if needed. 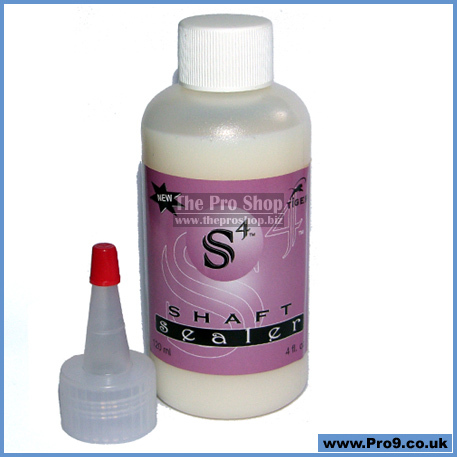 This Shaft Sealer is packaged in a 4 ounce bottle and comes with a nozzle for direct flow of fluid.